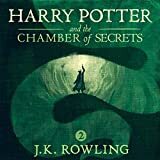 "'There will be three tasks, spaced throughout the school year, and they will test the champions in many different ways...their magical prowess - their daring - their powers of deduction - and, of course, their ability to cope with danger.'" The Triwizard Tournament is to be held at Hogwarts. Only wizards who are over seventeen are allowed to enter - but that doesn't stop Harry dreaming that he will win the competition. Then at Hallowe'en, when the Goblet of Fire makes its selection, Harry is amazed to find his name is one of those that the magical cup picks out. 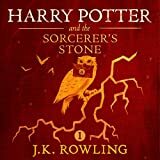 He will face death-defying tasks, dragons, and dark wizards, but with the help of his best friends, Ron and Hermione, he might just make it through - alive! Read by Paul Newman, Sidney Poitier, Kathleen Turner, and Matthew Broderick, here are the stories of the immortals of Olympus - the gods and goddesses of ancient Greece - as freshly described as if they were alive today. Mighty Zeus, with his fistful of thunderbolts; mischievous little Hermes; grey-eyed Athena, godess of wisdom; Asclepius, the first physician; Orpheus and his beloved Euridice; Helios the sun, crossing the heavens in his fiery chariot.... these and other equally fabulous figures are featured here with their heroic deeds and petty squabbles illuminated in full dimension. Like every other hobbit, Bilbo Baggins likes nothing better than a quiet evening in his snug hole in the ground, dining on a sumptuous dinner in front of a fire. But when a wandering wizard captivates him with tales of the unknown, Bilbo becomes restless. Soon he joins the wizard's band of homeless dwarves in search of giant spiders, savage wolves, and other dangers. Bilbo quickly tires of the quest for adventure and longs for the security of his familiar home. But before he can return to his life of comfort, he must face the greatest threat of all - a treasure-troving dragon named Smaug. 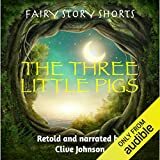 In this fantasy classic, master storyteller J.R.R. Tolkein creates a bewitching world filled with delightful creatures and thrilling dangers. Narrator Rob Inglis will hold listeners of all ages spellbound with his skillful portrayal of hobbits, dwarves, and enchanted beasts. Rediscover one of literature's most beloved classics, richly reissued in a pivotal new audio recording. Emmy and Tony Award-nominated actor Pablo Schreiber (The Wire, Orange Is the New Black) delivers a stirring performance of Jack London's fierce yet tender tale of loyalty between man and beast, told from the point of view of a dog. The Call of the Wild remains one of London's best-loved novels, often regarded as the crowning masterpiece of a writer whose enduring popularity and prolific output hold a unique place in American literature. On its face, the novel is the story of Buck, a dog stolen from his comfortable home on a California ranch and shipped to the frozen Yukon to be a trained as a sled dog. But this exhilarating tale of a canine hero's fight for survival is in fact a vivid depiction of the great gold rush to the Klondike in 1897. Brutal and fierce on one hand, this iconic adventure story is also a heart-warming tale of the tenderness and loyalty between humans and animals, brilliantly told from the latter's perspective. Narrator Schreiber, whose previous performance of Brett Easton Ellis' American Psycho has endeared him to listeners, brings a classic American tale to the ears - and hearts - of a new generation. Nathaniel is eleven-years-old and a magician's apprentice, learning the traditional art of magic. All is well until he has a life-changing encounter with Simon Lovelace, a magician of unrivaled ruthlessness and ambition. 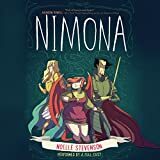 When Lovelace brutally humiliates Nathaniel in public, Nathaniel decides to speed up his education, teaching himself spells far beyond his years. With revenge on his mind, he masters one of the toughest spells of all and summons Bartimaeus, a five-thousand-year-old djinni, to assist him. But summoning Bartimaeus and controlling him are two different things entirely, and when Nathaniel sends the djinni out to steal Lovelace's greatest treasure, the Amulet of Samarkand, he finds himself caught up in a whirlwind of magical espionage, murder and rebellion. Set in a modern-day London spiced with magicians and mystery, The Amulet of Samarkand is an extraordinary, edge-of-your-seat thriller with many unexpected twists. Following Bartimaeus and Nathaniel in turn, the story introduces us to two wonderfully memorable characters destined to go through many adventures together and bound by a spell that is nearly impossible to break. Two young lovers...one little secret. As a Korean student in a Japanese high school, Sugihara has had to defend himself against all kinds of bullies. But nothing could have prepared him for the heartache he feels when he falls hopelessly in love with a Japanese girl named Sakurai. Immersed in their shared love for classical music and foreign movies, the two gradually grow closer and closer. One night, after being hit by personal tragedy, Sugihara reveals to Sakurai that he is not Japanese - as his name might indicate. Torn between a chance at self-discovery that he's ready to seize and the prejudices of others that he can't control, Sugihara must decide who he wants to be and where he wants to go next. Will Sakurai be able to confront her own bias and accompany him on his journey? Before she went to join Sam and Mogget downstairs, Lirael paused for a moment to look at herself in the tall silver mirror that hung on the wall of her room. The image that faced her bore little resemblance to the Second Assistant Librarian of the Clayr. She saw a warlike and grim young woman, dark hair bound back with a silver cord rather than hanging free to disguise her face. She no longer wore her librarian's waistcoat, and she had a long Nehima at her side rather than a library-issue dagger. But she had kept her library whistle, tucking it into the small pouch at her belt. Though she was many, many leagues from any help the whistle might summon, she felt the need to cling to some small part of her past and her identity. She had become an Abhorsen, Lirael thought, at least on the outside. Newbery Award-winner Gary Paulsen's best-known book comes to audio in this breathless, heart-gripping drama about a boy pitted against the wilderness with only a hatchet and a will to live. On his way to visit his recently divorced father in the Canadian mountains, thirteen-year-old Brian Robeson is the only survivor when the single-engine plane crashes. His body battered, his clothes in shreds, Brian must now stay alive in the boundless Canadian wilderness. More than a survival story, Hatchet is a tale of tough decisions. When all is stripped down to the barest essentials, Brian discovers some stark and simple truths. Self-pity doesn't work. Despair doesn't work. And if Brian is to survive physically as well as mentally, he must discover courage. Best-selling authors Dave Barry and Ridley Pearson have turned back the clock and revealed a wonderful story that precedes J. M. Barrie's beloved Peter Pan. In an evocative and fast-paced adventure on the high seas and on a faraway island, an orphan boy named Peter and his mysterious new friend, Molly, overcome bands of pirates and thieves in their quest to keep a fantastical secret safe and save the world from evil. This riveting adventure takes listeners on a journey from a harsh orphanage in old England to a treacherous sea in a decrepit old tub. Aboard the Never Land is a trunk that holds a magical substance with the power to change the fate of the world - just a sprinkle and wounds heal; just a dusting and people can fly. Towering seas and a violent storm are the backdrop for battles at sea. Bone-crushing waves eventually land our characters on Mollusk Island - where the action really heats up. Peter and the Starcatchers is brimming with richly developed characters, from the scary but somehow familiar Black Stache and the ferocious Mister Grin to the sweet but sophisticated Molly and the fearless Peter. Audie Award Nominee, Solo Narration - Female, 2013 One of the best-known stories in American culture, The Wonderful Wizard of Oz has stirred the imagination of young and old alike for over 100 years. Academy Award-winning actress Anne Hathaway (Rachel Getting Married, Alice In Wonderland), fresh from filming one of this year's most anticipated films, The Dark Knight Rises, lends her voice to this uniquely American fairy tale. Follow the adventures of young Dorothy Gale and her dog Toto as they get swept away into the magical land of Oz , where they encounter characters and places you may remember from the movie - and several more that never made it to the big screen - on an unforgettable journey to the Emerald City. "It's such a wonderful book and I was so happy to be a part of bringing it to life", Ms. Hathaway said. "There are a lot of great voices in it. The more fun you have with it, the sillier and the more free you get with it, the better it is because it's a story that can handle it. It's amazing to be able to discover something new about something you feel you know so well." 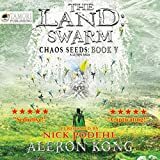 Aleron Kong's number-one best-selling LitRPG saga continues in The Land: Swarm. The enemies of the Mist Village are moving, the storm clouds are gathering, what are Richter and Sion to do? Crush the game, that's what! More of everything you love in LitRPG: powerful items, epic battles, awesome quests, and in-depth world building! What happened to Elora? Where is the swarm? Did the rock giant make Richter jelly? What are the colonel's secret spices? Journey back into my world and find out! Come back...to the Land! A special movie tie-in edition of R.J. Palacio's number-one New York Times best seller, now a major motion picture starring Julia Roberts, Owen Wilson, Jacob Tremblay, Daveed Diggs, and Mandy Patinkin. Over 6 million people have fallen in love with Wonder and Auggie Pullman, the ordinary boy with the extraordinary face, who inspired a movement to Choose Kind. August Pullman was born with a facial difference that, up until now, has prevented him from going to a mainstream school. Starting fifth grade at Beecher Prep, he wants nothing more than to be treated as an ordinary kid 0 but his new classmates can't get past Auggie's extraordinary face. 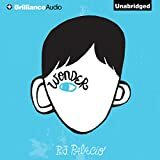 Wonder, a number-one New York Times best seller, begins from Auggie's point of view, but soon switches to include his classmates, his sister, her boyfriend, and others. These perspectives converge in a portrait of one community's struggle with empathy, compassion, and acceptance. In a world where bullying among young people is an epidemic, this is a refreshing new narrative full of heart and hope. R.J. Palacio has called her debut novel "a meditation on kindness" - indeed, every listener will come away with a greater appreciation for the simple courage of friendship. Auggie is a hero to root for, who proves that you can't blend in when you were born to stand out. Join the conversation: #thewonderofwonder, #choosekind Number-one New York Times best seller USA Today best seller Time Magazine's 100 Best Young Adult Books of All Time New York Times Book Review Notable Book Washington Post Best Kids' Book "In a wonder of a debut, Palacio has written a crackling page-turner filled with characters you can't help but root for." (Entertainment Weekly) "Rich and memorable." (The New York Times) "A beautiful, funny and sometimes sob-making story of quiet transformation." (Wall Street Journal) Full content copyright: R. J. Palacio. "Beautiful" by Linda Perry. 2002 Sony/ATV Music Publishing LLC, Stuck In The Throat Music. All rights administered by Sony/ATV Music Publishing LLC, 8 Music Square West, Nashville, TN 37203. All rights reserved. Used by permission. "Space Oddity" Words and Music by David Bowie 1969 (Renewed) Onward Music Ltd., London, England. TRO-Essex Music International, Inc., New York, controls all publication rights for the U.S.A. and Canada. International Copyright Secured. Made in U.S.A. All Rights Reserved Including Public Performance for Profit. Used by Permission. "The Luckiest Guy on the Lower East Side," written by Stephin Merritt and performed by the Magnetic Fields, 1999 by Stephin Merritt. Published by Gay and Loud Music (ASCAP). All rights reserved. Reprinted by permission. "Wonder" written by Natalie Merchant 1995 Indian Love Bride Music (ASCAP). All rights reserved. Used by permission.